A Figma figure of Yami Yugi, the leading character of anime franchise Yu-Gi-Oh!, is now available for pre-order from comic shops affiliated with Diamond Comic Distributors. Yami Yugi, the alter ego of Yugi Moto, will stand a bit over 5 inches, tall, the height that Figma figures tend to be. As typical with Max Factory’s figures, Yami Yugi will come with a number of accessories, interchangeable heads and heads with different facial expressions and poses. 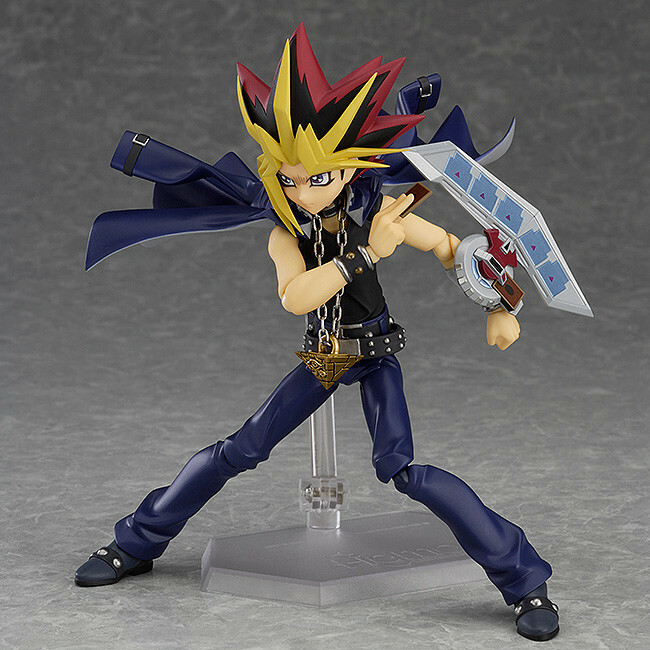 The figure of Yami Yugi will be priced at $85.99.